To ensure ACWA’s ongoing position of influence in child and family welfare, the single most important goal in this role is to develop an engagement strategy with government and members that will continue to strengthen ACWA’s role in the sector. To achieve this goal you will lead the execution of the strategic directions set by the Board and promote ACWA as an expert leader in the planning and provision of child, youth and family service. This will include the overseeing of the successful delivery of the high performing CCWT. The successful candidate will have senior management experience with a proven track record in organisational development, ideally from within a membership driven organisation such as another peak body, industry association, member driven not-for-profit or a like-minded corporate. Having worked at a senior level, advocating on behalf of and building relationships with multiple stakeholders, including members, government, regulators and the media. Your leadership and staff management skills will be highly developed. A track record in the development and implementation of membership and training models and an entrepreneurial approach to diversifying and maximising income streams will be highly regarded. Ideally you will have an excellent understanding of the federal, state and local government policy context for the delivery of family, youth and children’s services, particularly in the area of out of home care. This includes the issues facing community based organisations in their delivery of services. 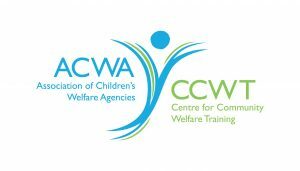 The Association of Children’s Welfare Agencies (ACWA) is the NSW and ACT peak body representing the voice of 120 household name charities, NGOs and community welfare organisations working with vulnerable children, young people and their families. Providing expert advice, advocacy, resources and professional development, ACWA works alongside its members, partners, government, agencies and other peak bodies to bring about systemic reform. ACWA aims to deliver better outcomes to the lives of children and young people, including those living in out-of-home care. ACWA is also responsible for the Centre for Community Welfare Training (CCWT), a registered training organisation delivering vocational qualifications under the Australian Quality Training Framework and is recognised as the industry’s professional development training provider.